Home > Portfolio > Chase. This compliant legal research firm specializes in providing investors with insightful, rigorous analysis, thereby facilitating sound decisions on trades and business deals. Chase provides a deep bench of consultants from every discipline and specialty and offers a full range of depth and detail regarding the information presented. 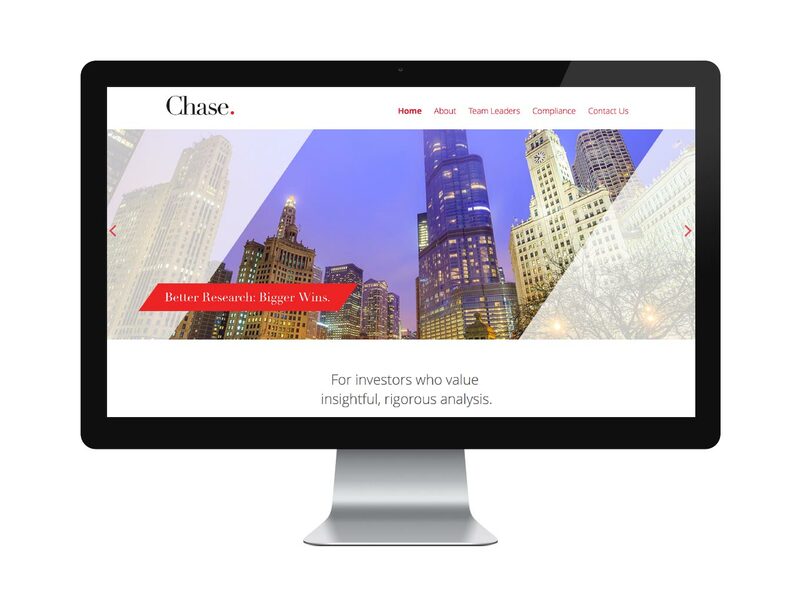 Formerly named the Chase Firm, the client sought an updated, confident identity and responsive mobile-friendly website to base email outreach, blog entries and webinars. 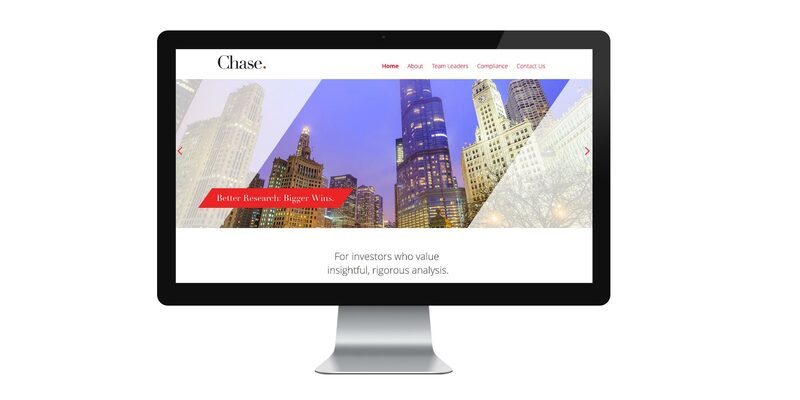 Kidd Group and 3WStudios devised a confident and concise re-brand: Chase. The byline: “Better Research: Bigger Wins.” states the company’s mission. Though an appealing image of a Labrador retriever was retained in corporate identity, it was placed in less prominent positions on the website. The site’s dynamic palette, engaging imagery and concise content confidently guide prospective and current clients when deciding on a research team. Responsive and mobile-friendly, this redesigned site is expected to facilitate clarity in search and impact positive contacts for services and consultations.